Egypt shares are seen by analysts to move sideways this week as investors await fresh stimulus to reposition in blue-chips stocks capitalizing on their attractive prices. “The main index was unable to exceed the resistance level between 13,800 and 13,900 points, which after bouncing back from levels as low as 13,200,” according to Said El-Fekky of Osoul for Security Brokerage. EGX30 is expected to maintain horizontal movements next week between 13,200 and 13,800 points, he added, with main support at 13,500 points. Last week, the Egyptian Exchange returned to gains in the third week of October, recovering from the steepest decline in almost three months. The benchmark index EGX30 recovered most of its previous week losses as it settled on weekly gains of 2.7%, closing at the level of 13,644.16 points, after dropping 5.8% last week. The small and medium-sized enterprise index EGX70 rose 0.8% and ended the week’s trade at 691.11 points, while the broader index EGX100 went up 1.2% to 1,740.02points. The equal-weighted index EGX50 fell 7% and reached 2,046.5 points. Market capitalization amounted to EGP 766.9bn, gaining EGP 22.7bn. Meanwhile, the board of Heliopolis Company for Housing and Development agreed to obtain a long-term loan worth nearly EGP 1.2bn from a national bank. The loan is set to be reimbursed in seven years and a half in accordance with cash inflow disclosure and the company’s proceeds from residential, commercial, and service lands, the company highlighted in a statement on Thursday. The Egyptian real estate firm will use the financing to overcome its liabilities and pay all due debts, according to the statement. The company is working on fulfilling all required procedures to get the requested loan and is seeking to obtain the approval of the finance ministry regarding this matter. Heliopolis Housing previously reported a 28.1% year-on-year drop in net profit for fiscal year 2017/2018. The company generated EGP 250.79m in net profit in FY17/18, versus EGP 348.8m a year earlier. Revenues increased to EGP 936.5m in the 12-month period, from EGP 928.06m in FY16/17. In other market news, the board of Sarwa Capital Holding for Financial Investments has agreed to begin the procedures of raising the company’s issued capital by nearly EGP 700m. The capital will be raised by the issuance of 95.10 million shares, upon which subscription will be limited to Consolidated Financial Holdings (CFH) as a selling shareholder at EGP 7.36 per share, the final price of the initial public offering (IPO), the company said in a filing to the Egyptian Exchange. 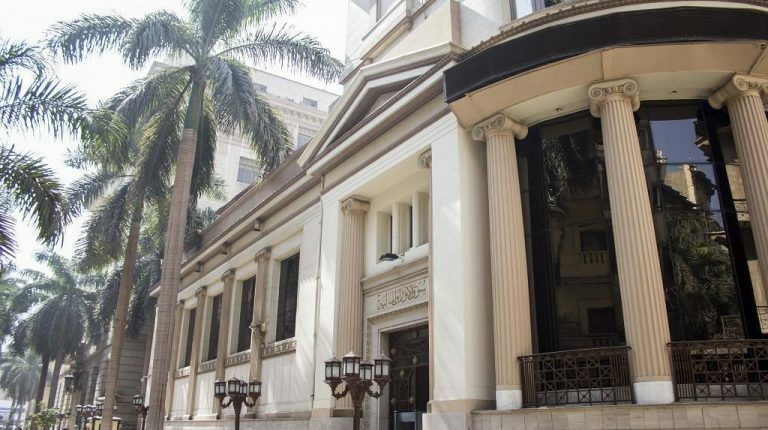 The company seeks to boost issued capital to EGP 115.2m as the price differential between the share’s nominal value of EGP 0.16 and the subscription price of EGP 7.36 will be transferred to private reserves worth nearly EGP 684.7m, according to the statement. The company noted that the increase represents 32.22% of the IPO’s total proceeds. Trading on Sarwa Capital’s stocks on the EGX started on Monday, 15 October. Sarwa Capital’s initial public offering (IPO) was oversubscribed 30.1 times. Total purchasing orders on the private offering reached 887.4 million shares, the Egyptian bourse highlighted in a statement. Sarwa Capital previously said that the private offering was oversubscribed 10.83 times, with 265.65 million shares offered at a value of EGP 1.96bn. The final price of the IPO was set at EGP 7.36 per share, while trading on the stock will be under the symbol of SRWA.CA following obtaining the approval of the EGX. In other related news, Alexandria Mineral Oils Co (AMOC) announced that trading on its global depositary receipts (GDRs) on the London Stock Exchange (LSE) has commenced on Thursday, 18 October. The state-run firm has issued 50,000 GDRs on the LSE, AMOC said in a statement to the Egyptian Exchange (EGX). In February, AMOC revealed it was considering floating a stake of its shares on the Nasdaq Dubai exchange, following the completion of listing on the LSE to issue GDRs. In December, the Financial Regulatory Authority (FRA) had approved the issuance and listing of AMOC’s GDRs on the LSE. The maximum limit of AMOC’s GDR issue is one-third of the company’s stocks valued at EGP 861 million and should not to exceed its 38.78% stake of free-float stocks on the EGX, the company stated previously. In earnings news, Alexandria Container and Cargo Handling Company (ALCN) has reported a 12.3% decline in its net profit during the first quarter of fiscal year 2018/2019, as shown by the company’s financial indicators. Net profits reached EGP 494.5m in the three-month period ending in September, compared with EGP 564m for the same period last year, according to the company’s statement to the Egyptian Exchange (EGX) on Wednesday. Sales decreased to EGP 693.8m compared to EGP 702.2m in the corresponding period in the year before. Meanwhile, Egyptian Chemical Industries (Kima) has completed about 90% of KIMA 2 facility for ammonia and urea production in Aswan. KIMA 2 facility is being constructed with over EGP 11bn in investments, the company said in a filing to the Egyptian Exchange (EGX) on Wednesday. In August, Kima announced that it achieved about 88% of KIMA 2 project, which is set to be opened next January. Kima previously posted a 47.3% year-on-year decline in profits for fiscal year 2017/2018, recording a net profit of EGP 109.68m, versus EGP 208.04m. Revenues shrank to EGP 573.3m in the 12-month period ended June, versus EGP 607.8m in FY16/17.